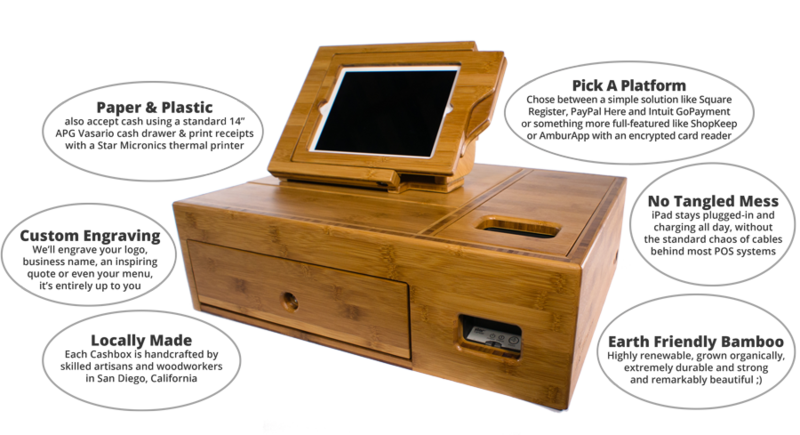 The Cashbox is an iPad Point of Sale (POS) Solution that integrates a credit/debit card reader, iPad, cash drawer, and receipt printer into an attractive and secure, full-featured POS system. 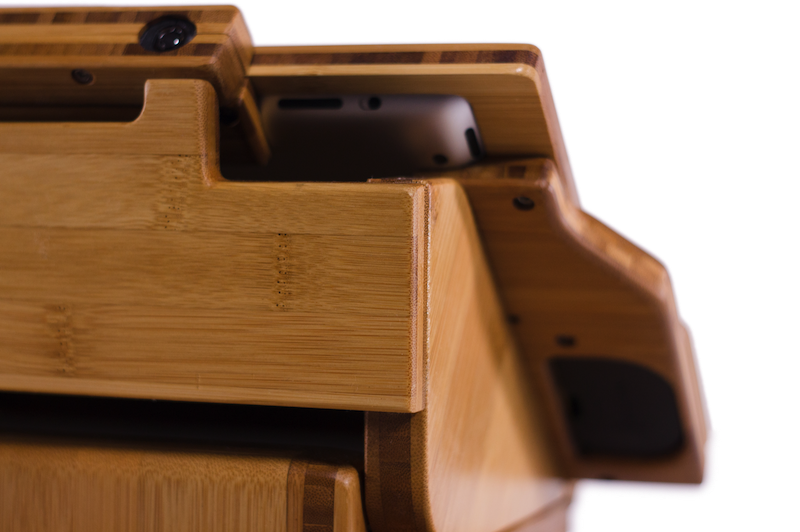 It stands out from other iPad-POS Solutions because it is made of sustainable, natural materials and built locally in the USA. 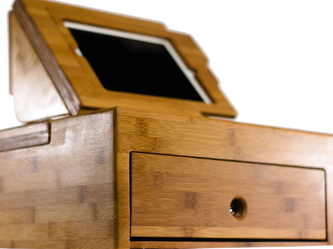 The Cashbox replaces the clunky plastic cash register with beautiful, natural bamboo. Compare The Cashbox to the unreliable, stylus-based signature panels, and its easy to see the advantage where you just tilt the iPad toward the customer and they sign with their finger. 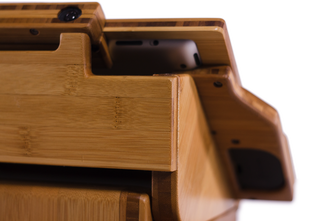 And rest assured that no one will be running off with your iPad; while the Cashbox puts it within reach of your customers, it still keeps it safely secured to your counter top. 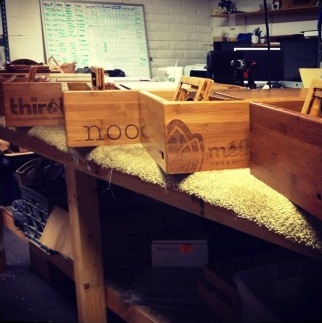 Each Cashbox is built to order by our team of makers and craftsmen. Producing the Cashbox locally means that we can maintain the strictest possible quality controls. Everyone involved in creating The Cashbox is paid well, treated with respect and takes pride in a job well done. We entertain special requests and will happily customize your Cashbox to match your shop or business. 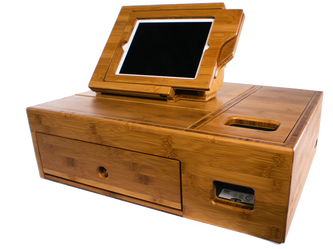 It is modular: the iPad, wrapped in a PayFrame, can be removed from the Cashbox and still used with the cash drawer and receipt printer from anywhere on the same wireless network. 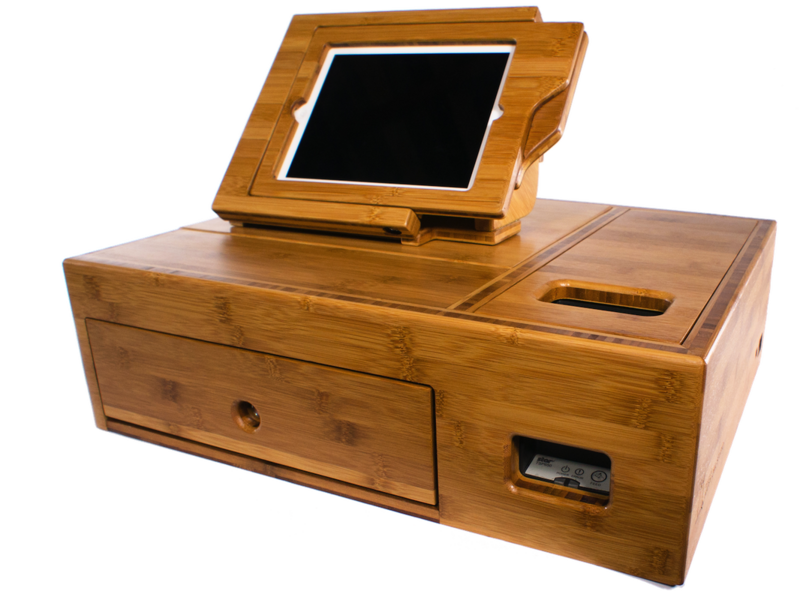 It is upgradeable: You can start with just a PayFrame and a Receipt printer, add a PayStand later for added security and then top it off with a cash drawer and the rest of the Cashbox system later if you wish. You can also upgrade to a new PayFrame to match your new iPad when ever Apple comes out with a new one, or you choose to switch your business credit card processing, and need to change your credit card reader. Many iPad POS applications allow customers to choose to email or SMS text message a receipt instead of printing it. This allows individual customers to reduce paper waste in their daily lives. 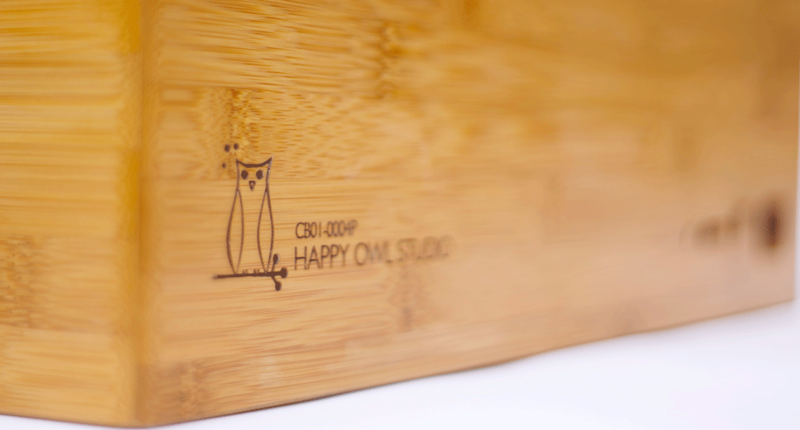 Happy Owl Studio proudly uses Cali Bamboo® plywood which is manufactured from 4-6 year old, organically grown, LEED and FSC certified Moso bamboo. It is sourced sustainably and grown with little to no fertilizers, pesticides or irrigation. 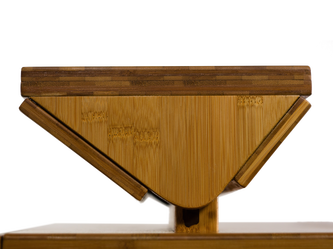 We chose this bamboo plywood because it is highly renewable, incredibly strong, and once finished and polished, it is stunningly beautiful. 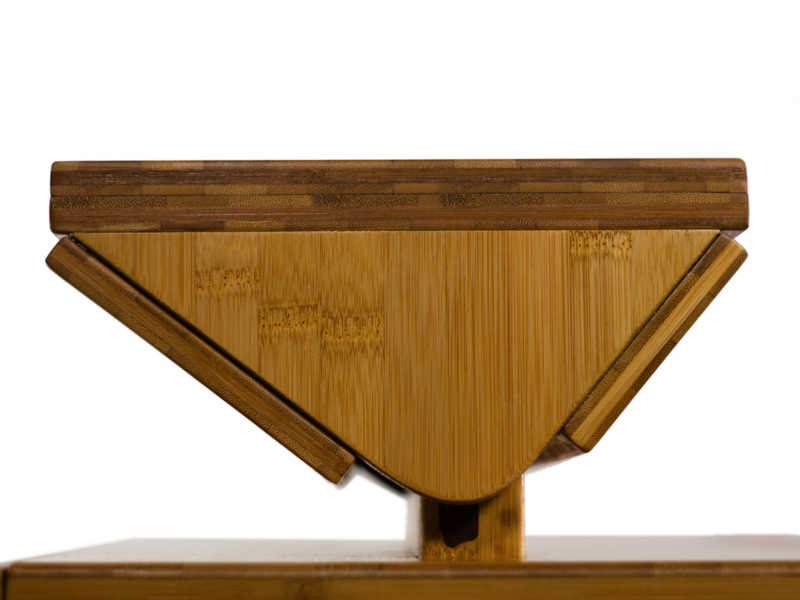 Learn more about why bamboo is so renewable. iPad offers color touch screen interactivity. Receipts can be emailed, texted or printed. The cashier gets a slightly more vertical angle that they are comfortable with, while the customer will be presented with a lower angle for easy signing with their fingers. 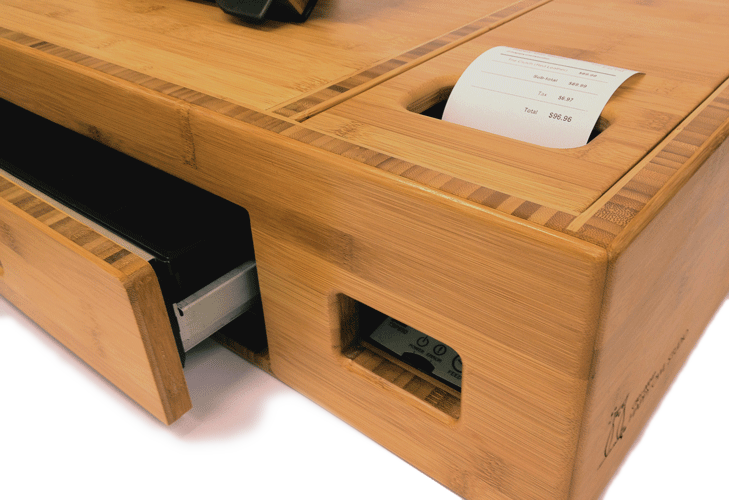 The Cashbox is designed to work with an industry standard cash drawer and receipt printer. So standard, many business already own them, and that is why we chose to build around the Star TSP654 ethernet or Star TSP143LAN receipt printer and the Vasario 1416 or Vasario 1616 cash drawer. The Star TSP654, Star TSP143LAN, Casario 1416 and the Vasario 1616 all work with Square Register as well as other POS software solutions. 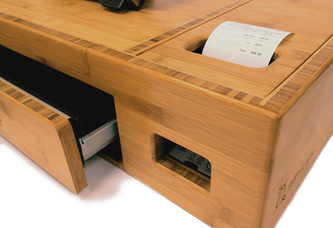 If you want your Cashbox built to fit a different receipt printer and cash drawer, let us know, and we might be able to customize for you. If you are looking to set up your receipt printer and cash drawer, Square has put together a great guide to walk you through the process. 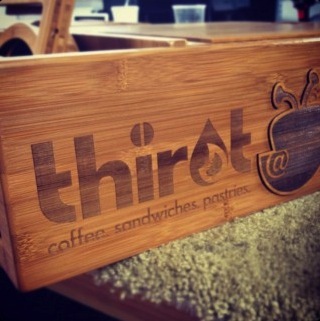 Do you want your business' artwork laser engraved onto your Cashbox? 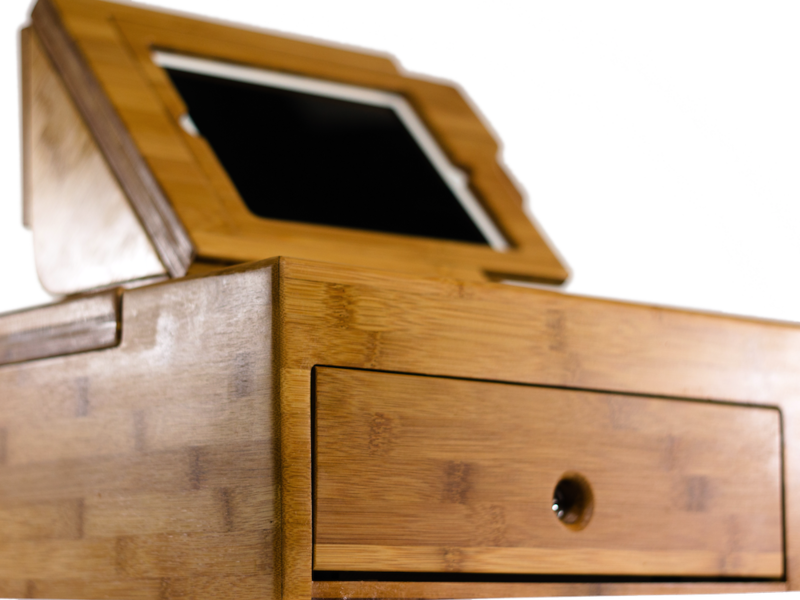 Are you interested in a Cashbox made from a certain wood to match your shop? 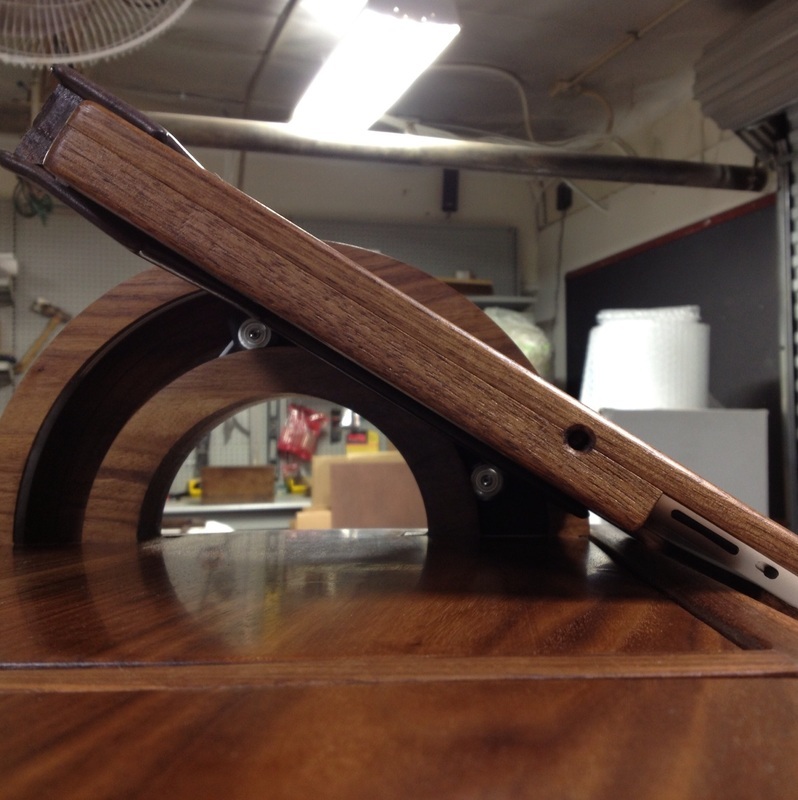 How about a custom finish? Are you using a different credit card reader than we traditionally offer? We're happy to entertain special requests. Our goal is to support every POS platform that runs on iPad. If you don't see your's listed, let us know, as we haven't found one we can't support yet.